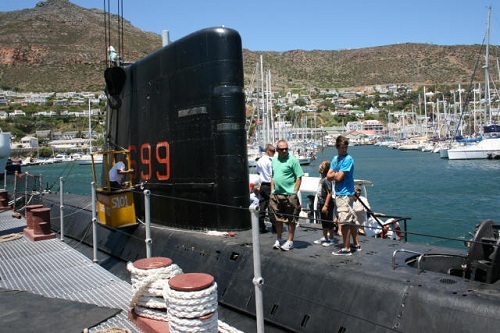 The SA Naval Museum houses the SAS Assegaai, giving those who have never been on a submarine, the opportunity to experience life in a submarine. 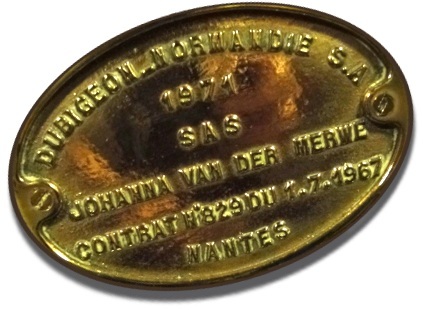 SAS Assegaai (Assegaai is the Afrikaans word for spear), formerly the SAS Johanna van der Merwe, was one of three Daphne-class submarines acquired from France during 1970 to 1972, which became the first submarines to serve in the South African Navy. She is 58m long and had a complement of six officers and 45 senior and junior ratings. 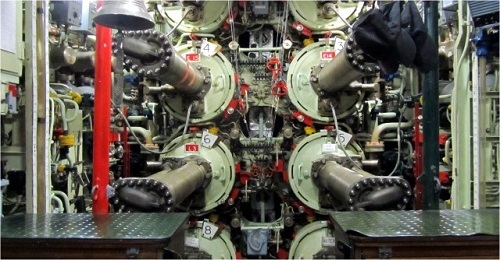 Fitted with 12 x 550mm torpedo tubes, she could also carry sea mines. Enthusiastic guides doing their thing! All tours are conducted by experienced volunteer guides who explain life aboard as well as how the boat was run and how the systems work. 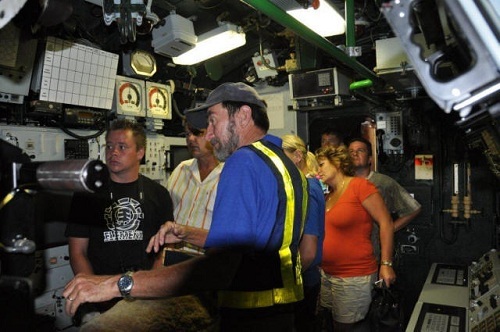 The interior has been perfectly preserved and one is able to see and experience all its equipment in the cramped setting – for example, the tiny galley. One also get to experience the feeling of being in a boat underwater. 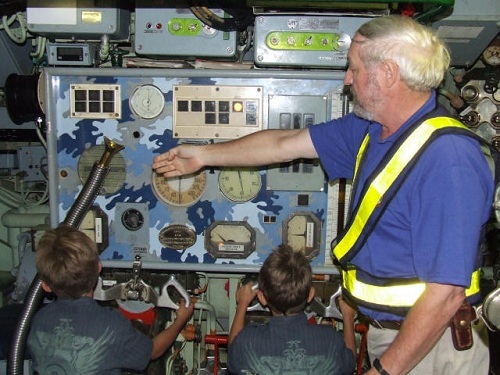 An explanation is also given of how the submarine dives and how it surfaces at sea and you get to know many interesting facts about submarines. 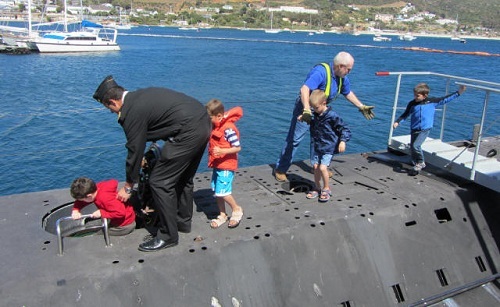 One of the more fascinating aspects being the generation of fresh air for the crew when dived. Be warned: This vessel was designed and built as a deadly warship. She is compact and filled with machinery. She was not designed for visitors. Passages are narrow and you need to be careful where you step. Ensure that children do not fiddle with switches or equipment because some valves control water ballast systems, and high voltages are present in equipment. 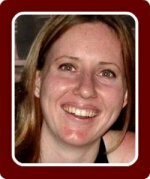 R40 pp (R20 for U/12) for bus & tour (about 50 min). A max of 3 groups of 10 – 12 can visit at any one time.